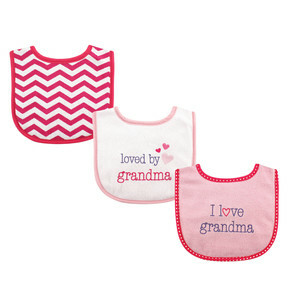 Luvable Friends Bibs 3 Pack is a great value pack of bibs that will help protect your baby's clothing from drool and spills. These bibs are made of terry fabric that is very soft and absorbent. 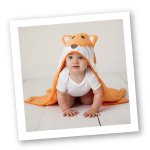 Each set is assorted with cute coordinating designs and colors and is available in a matching burp cloth set.